Every surfer knows the importance of being able to easily transport their surfboard in their car. However, an average surfboard is around 7 feet tall, which sometimes makes it difficult to move from place to place. 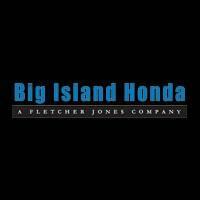 Luckily for Keaau and Pahoa surfers, Big Island Honda came up with some of the best cars for surfers. Will a Surfboard Fit in My Car? 2019 Honda Pilot: The 2019 Honda Pilot is a great vehicle for surfers, as it has a body that is 196.5 inches in length, and it offers 83.9 cubic feet of cargo space with the second and third row seats folded down flat. 2018 Honda CR-V: The 2018 Honda CR-V also has the capacity to carry your surfboard from place to place. Fold down the rear seats, and enjoy a spacious 75.8 cubic feet of cargo space. 2018 Honda Odyssey: The Honda Odyssey is 203.2 inches in length and offers up to 144.9 cubic feet of cargo area with the seats down, making it the perfect vehicle for surfers. If your car can’t fit your surfboard, no need to worry! There are surfboard car racks available that fit Honda models such as the Honda Accord, Honda Civic, and Honda Fit. This way, you can still transport your surfboard on your car’s exterior on your way to the beach. For more info about surfboard-friendly Honda vehicles or even surfboard car rack accessories, contact us or visit us at Big Island Honda, located in Hilo and Kailua-Kona. While you’re at our dealership, be sure to ask about our service specials!